Southern Oregon partners agree that Smart Alternative Fuels is the preferred, local company for cooking oil collection and grease trap maintenance. From Klamath Falls to Ashland to Medford, we are nearby and ready to serve. Our 24/7 customer service and support means Jackson County and surrounding restaurants, hotels, grocery stores, schools, corporate campuses, casinos, and others can put their kitchen oil recycling and grease trap cleaning needs on autopilot with us. We take pride in maintaining clean, sanitary collection areas. 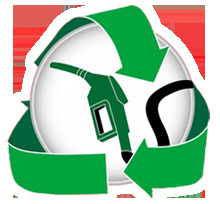 By partnering with Smart Alternative Fuels, you are engaging in a green recycling program that refines cooking oil into biodiesel. Smart Alternative Fuels proudly services partners in Klamath Falls, Brookings, Port Orford, Coos Bay, Ashland, Medford, Grants Pass, Roseburg, and everywhere in between. For a free quote or to add services, please complete the form below.